« Unpredictable. That’s what makes it exciting. Pedigree going down the pan? As I sat watching “Pedigree Dogs Exposed” with my West Highland White Terrier dog Rocky the reality of what our pets have become struck a cord. I’ve always loved watching Crufts yet never really appreciated the true welfare problems these dogs face. I know it’s plain to see, on holiday in France was a prime example, of a ball of fur (some sort of Pekenise but I couldn’t be sure) with a squashed up face, struggling to breathe and control its temperature in the heat of the day. Its these over the top, out of proportion, deformities that breeders need to re-address and go for the healthy dogs not just those that will make ‘breed standard’. Now its all come out in the media (I’m sure its always been there, just not mainstream) there really has been a snowball effect and the RSPCA has gladly made full use of the publicity – good for them! I’m lucky that my Westie is very good condition, we met both parents and the breeder was a lovely lady, for her it was just a little hobby, not to win best in show. 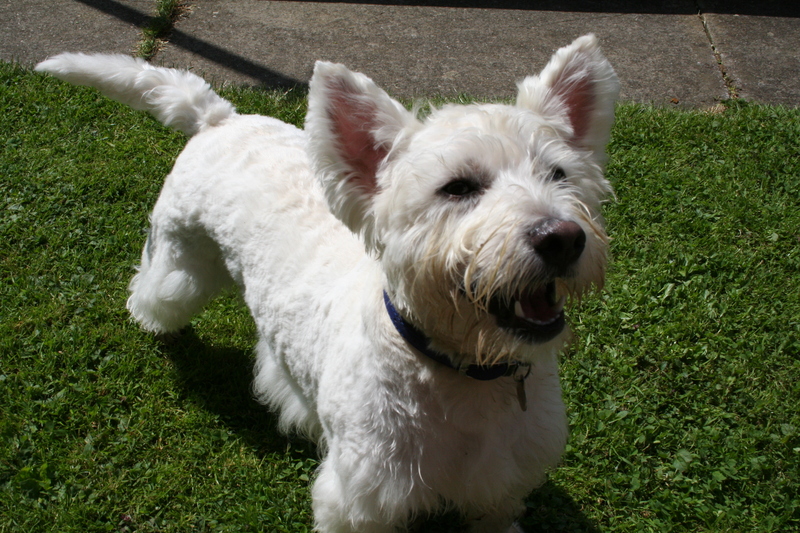 But now at almost 3years old the tell tale signs of Westie problems – skin conditions and allergies – are beginning to show (very minor though which is a relief. ) I hope, come January 2009, the RSPCA report on Pedigree dog welfare makes headline news again and more breeders take notice of the publics increasing interest.